China’s most popular music streaming service Tencent Music is looking to go public in the US. China’s most popular music streaming service Tencent Music is looking to go public in the US. There were a lot of rumors about Tencent Music offering its services to the American audience. Now it seems there was some truth to these rumors after all. 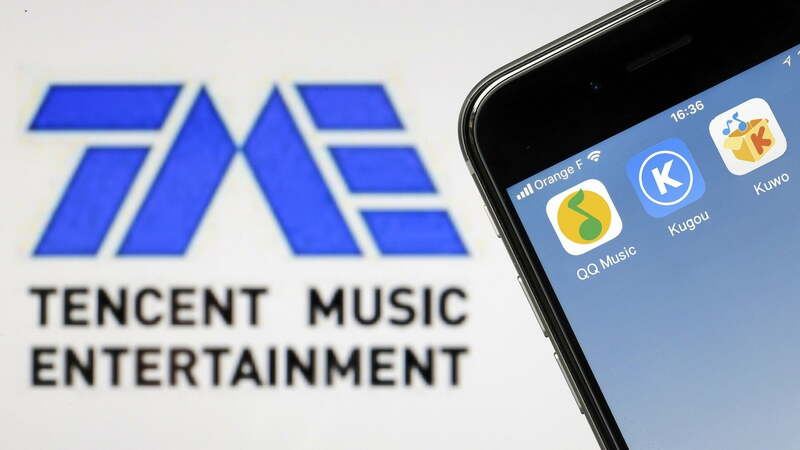 Tencent Music Entertainment (TME) filed for an IPO overnight and estimated the initial value at $1 billion which can change later in the future. According to Spotify’s IPO that it filed in early 2018, Tencent Music is estimated at a value of $12 billion. Everyone is curious to find out how much the stock price will vary from the $12 billion estimated value. It is unfair to call TME a startup. The popular music streaming service has 4 subsidiary products: WeSing, Kuwo Music, Kugou Music and Q Music. These 4 stream services include karaoke apps, normal streaming services and a live-streaming platform. WeSing, Kuwo Music, Kugou Music, and Q Music are labeled as China’s top 4 streaming services. Combined they total to 800 million monthly users. Tencent Music is looking to compete with services such as Spotify, Apple Music, Deezer, and Tidal but it has a totally different business model. TME is quite a powerful and profitable business entity. While Spotify offers paid subscriptions for its premium service and a free ad-based option to generate revenue, Tencent Music is a different beast altogether. Tencent Music earns large portion of its revenue through ads, music sales and social activities. In 2017 the music platform’s revenue was $1.7 billion (11 billion RMB Renminbi) with a $199 million (1.3 billion RMB Renminbi) profit. In just the first half of 2018, the company has seen more profit than last year. It has amassed $1.3 billion (8.6 billion RMB Renminbi) in revenue with a $263 million (RMB 1.7 billion Renminbi) profit. Music subscriptions accounted for only 30 percent of these sales. The rest of the profits were earned through premium memberships and virtual gifts sent to live streamers. After looking at these figures it is no wonder that Ma Huateng, the CEO of Tencent became the richest person in China this year. Majority of that success is due to the streaming service’s link with other Tencent products, particularly WeChat, QQ and Tencent Video. WeChat has a billion users, and Tencent Video gives users a platform to connect with other users and share their music within their social circle. These strategies have made profits high while keeping expenses low. All these factors have contributed to Tencent’s immense success. Tencent Music’s cost of revenue is 60 percent, compared to almost 75 to 85 percent for Spotify which has to work a lot smarter and harder to bring in customers. The music streaming service believes that it will attract more subscription-based customers over time thereby generating even more revenue. It remains to be seen however how this service will perform in the West, and what changes if any can be expected from the music streaming service.